What better photo opportunity than this? This decor was for the young ladies to stand in front of and receive their awards. We decided on a lace balloon arch and matching balloon bouquets. 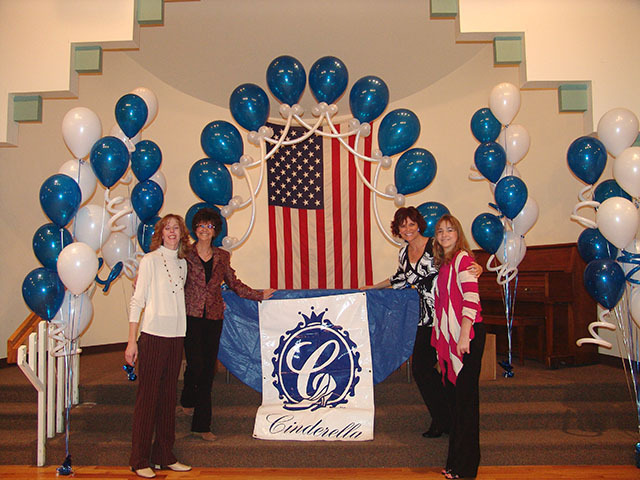 This entry was posted in Uncategorized and tagged balloons, baloons, bouquets, lace balloon arch, wheatridge by Shine. Bookmark the permalink.